According to government figures, per mile ridden, motorcyclists are around 35 times more likely to die in a road traffic accident than the drivers and passengers of cars. They are also over 50 times more likely to sustain a serious or catastrophic brain or spinal injury. Scotland, which is home to disproportionate amount of the UK's rural roads, can be a particularly hazardous place for the motorcyclist. For example, in 2012 70% of motorcycle accidents occurred on rural roads, with motorway incidents making up for only 1% of fatal accidents and only 2% of cases of serious motorcycling injuries. In many cases it is not the motorcyclist who is to blame for the accident with 24% of all accidents caused by car drivers failing to look properly. But what should you do if you are involved in a motorcycle accident that you believe to be the responsibility of another party? 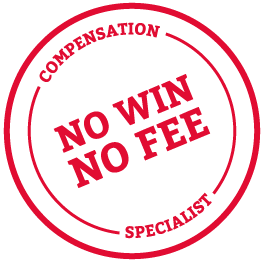 Should you make a compensation claim? And how do you go about it? If you are looking for advice, it always helps to speak to someone who knows the issues and the implications involved, particularly from a legal perspective. In the case of a motorcycle accident claim, you need to speak to a specialist motorbike accident lawyer - someone with the experience to achieve the best result for you, in the quickest possible time. By the very nature of motorbike use, riders and their pillion passengers are more vulnerable than occupants of other motorised vehicles and, therefore, the injuries incurred in a motorcycle accident are often very serious and life-altering. The personal injury team at Thompsons will fight on your behalf to ensure that you receive the fullest possible compensation for your injuries and that, where appropriate, you receive interim damages to assist with the immediate financial considerations such as cost of rehabilitation care and any expenses you may incur. Thompsons Solicitors is the leading personal injury firm in Scotland. We have a dedicated Road Traffic team and are experts in dealing with motorbike injury claims. We have an excellent success rate - we win over 90% of our personal injury cases and recover over £1 million every week for our clients. Alternatively, give us a call on 0800 0891 331. One of our specialist motorcycle injury lawyers will be happy to chat things through, free of charge and with no obligation.